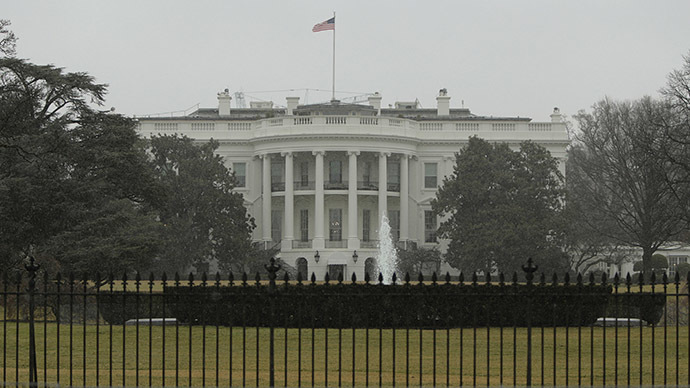 A man was arrested outside the White House after attempting to launch a small drone from nearby Lafayette Park on Thursday afternoon. The Secret Service briefly locked down the area. Secret Service agents are questioning the man, whose identity has not been made public yet. A federal law enforcement official who spoke to the Associated Press revealed it was not immediately clear whether the man was actually aiming the drone at the White House, or using the device to take photographs. President Barack Obama was not at the White House. He has been meeting with representatives of six Gulf Arab countries at Camp David in Maryland, discussing US military aid and security concerns raised by the nuclear talks with Iran. The incident comes just a day after the Federal Aviation Administration (FAA) launched a campaign to remind tourists and residents that Washington, DC was a “No Drone Zone.” The 15-mile restricted airspace around the Ronald Reagan Washington National Airport was established after the 2001 terrorist attacks involving hijacked commercial aircraft. This is the second drone incident involving the White House grounds this year. In January, a small quad-copter crashed on the grounds of the executive mansion. An employee with the National Geospatial-Intelligence Agency (NGA), part of the Department of Defense, later confessed to flying the DHI Phantom quad-copter and losing control of it somewhere over the White House.